I heard probably the saddest news of my life so far: Neil A. Armstrong has passed away. Mr. Armstrong was my #1 hero. I considered Neil almost like a grandfather to me even though I never got to meet him. My nickname is Neil. I have the same initials as him ( Neil Alden Armstrong(NAA) and Nassem Ahmed Al-Mehairi(NAA). I have had the same kind of interests as he had when he was my age. We both always wrote our names with our middle initial included. Neil and I grew up very close to each other in Wapakoneta and Ashland OH, respectively (But 69 years apart on birth datesJ). We were both shy but not afraid to stand up for what we believed in. We both strived to be the best we can be and make our lives worth something. Neil was the first person on the moon and more importantly on a celestial body. Neil had a life that I can only hope to have. Even through many rumors made about him, car chases with the media, and people selling his hair he always kept his cool and took what he called “the Lindbergh Way”. 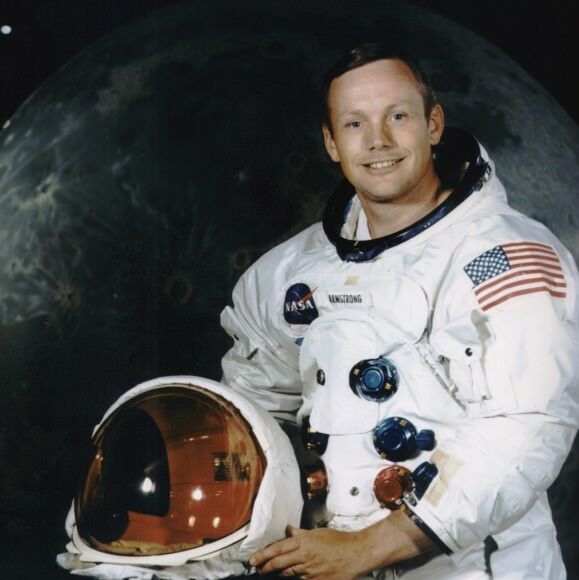 In 5000, even 10000 years from now only 2 people from the first 5 millennia of human history will be remembered: Neil Armstrong for being the first person to step on a celestial body other than Earth(and opening our gateway to the Solar System and then to the stars) and one other person. The first person to step on Mars and more importantly first to step on a planet(Who Neil has inspired so much that I will probably be that person(Nobody else has the willpower and the money, not even NASA, to do it until the 2nd half of the 21st century. I plan to do it in 2029. And I have already planned the hardware and mission times for this undertaking by my space exploration company.) ) Everything I will ever do in my life will be in honor of Neil and when I take humanities first step on Mars, it will be in honor of him. I will tell why we need to go to Mars now. We must now go to Mars. We must go for the exploration part. We as humans must venture outward in the Universe. “Earth is the cradle of Humanity. But we cannot stay in the cradle forever.” Those works are quoted to Russian Schoolteacher/Rocket Pioneer Konstantin Tsiolkovsky. We cannot grow as a species on one planet. And we are not meant to. We must go for science. What would happen if we found microbial life on Mars? We would finally know that we are not the only life in the Universe. Wouldn’t that be amazing? Maybe we would stop being so self centered all the time. We must go in honor of the explorers that got us here. Without the explorations made by the early humans crossing the land bridge between Asia and North America, Marco Polo’s Asian exploration, Christopher Columbus’s voyage to The New World, The Colonists settling here in America(which my ancestors were some of the very famous leaders in), Lewis and Clark’s exploration of The Louisiana Purchase, the first voyages to the Moon, and many more, we would not be where we are today. We must never stop exploring. I am inspired the most to be the first on Mars and to explore by Neil Armstrong and the other early astronauts because they took the last great effort to explore. Neil Armstrong was inspired by Charles Lindbergh when he was my age for the same reason. Like I said before, only 2 people will be remembered in 10000 years. I want to make history and be one of those 2. I want to open the gate to the stars to the explorers after me. I want to be what Neil Armstrong was to me to the future generations of people. I know this was long but I thought this was the right time to say it. A piece of me was lost today but it cannot keep me from doing what Neil did at the moon to what I will do at Mars. Mr. Neil A. Armstrong will be remembered forever. I will be sending homemade condolence cards to Neil’s wife, Carol and his brother and sister and his 2 boys, telling about how big of an influence he was on me. He has been the driving force behind me. Please now, every time you see the moon shining down on you think of Neil and how amazing that man actually went there. Then, look at Mars and think about the new frontier. Thank you and Rest in Peace Mr. Neil Alden Armstrong, my hero.